Located right in the heart of Waco Riverbend Park, Waco Waterpark is the best place in town to escape the Texas heat and cool off with the family. The team of Counsilman-Hunsaker and Kimley-Horn provided aquatic design services for this 11,463 sq. ft. state-of-the-art aquatic complex that embodies the community’s needs and objectives by combining leisure areas and fitness/competitive swim programming spaces. 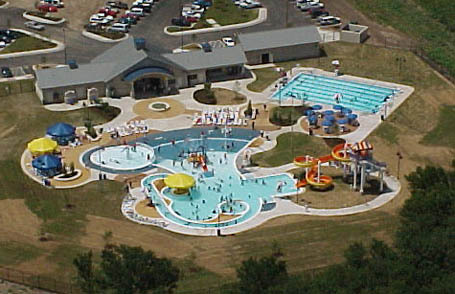 With recreation driven aquatic centers morphing into innovative water playlands, this facility merged the best features of public pools and commercial waterparks together. Its design invites residents to partake in physical action and adventure with an impact on return visits to experience the thrill over and over again. One of the design concepts incorporated for this municipal facility was creating zones: an area for tots, one for teens, and buffering those two by a family zone. This makes it easier for moms and dads to watch little ones, while giving teens their own space to cavort.